trend lends itself perfectly to the 5-Symptom Song & Dance. holiday celebrations all the way to that extra bowl of fries at lunch. see how this updated version of the campaign resonates with consumers. 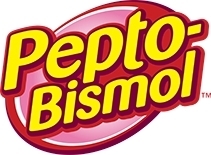 To view the new commercial, visit www.youtube.com/peptobismol. with InstaCool, Cherry, and Original wintergreen). For additional information, please visit www.pepto-bismol.com.